Zigg: In case anyone was wondering if FGO was going to become the new Nanoha or Kantai Collection of this feature, then I think this is a pretty definitive answer. It’s well made as is usual from Max Factory, and there’s a certain pleasure to be seen in a swimsuit figure who actually, y’know, looks like she’s having fun and everything, but still. You took the reincarnation of King Arthur and put her in a bikini. That’s anime for you. Iro: I was going to at least note this is the swimsuit she wears in Hollow Ataraxia, but it’s actually not since the chest piece is lower cut to show off her cleavage. This is why we can’t have nice things. Jel: You know, this is just stupid enough where I think I can give it a pass despite being a swimsuit figure. 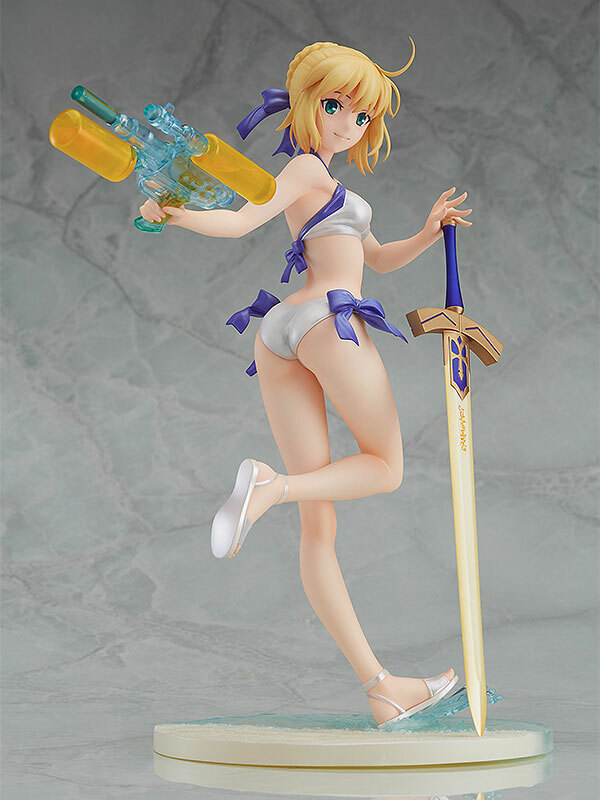 The water gun is a nice touch and Saber’s weird goofy smile make it hard to get mad. I do have to call out Iro on this one though: how in the world were you able to notice the difference between this and the Hollow Ataraxia version? Zigg: As seems to mostly be the case with figmas these days, the show is entirely stolen by the stunning accessory. The recreated racing bike is beautifully detailed (check out the mechanisms on that derailleur) and will no doubt be huge fun to pair with totally inappropriate characters. Miku herself is smart and something nice and different too, and I’m even a fan of the very flashy hair. As is usual with figmas though the big reservation is price. Iro: I’m not even sure why “Racing Miku” took on a weird life of its own, but this is at least one of the less skeevy versions I’ve seen. I actually quite like the hair, and the bike is a pretty cool accessory. I’d say this is one of the better Mikus I’ve seen in the history of this feature. Jel: In spite of (or because of???) the bizarre hair, this is a really cool figma. 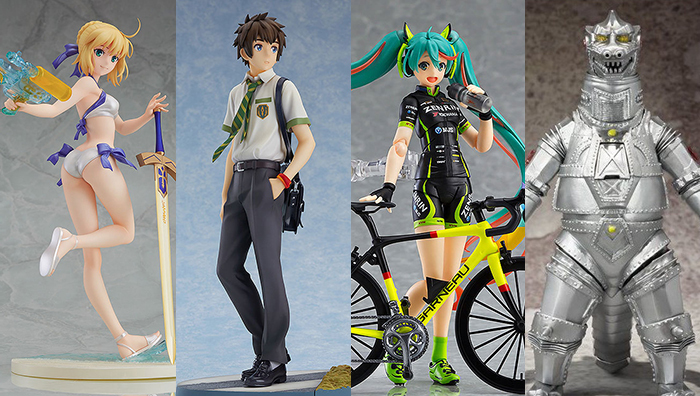 Obviously the bike is the highlight, but it’s cool that Miku herself is just dressed for bike racing not some weird space idol costume. 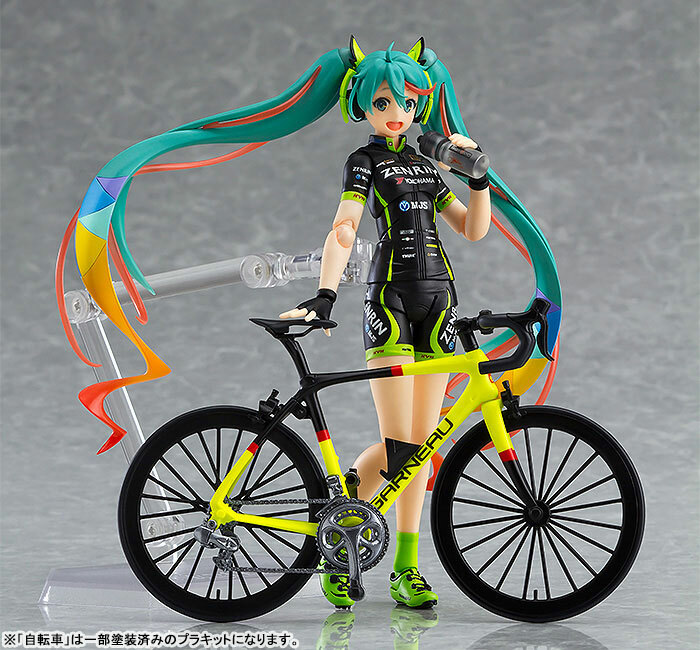 I guess the real question is, do you care enough about Racing Miku to justify paying 8300 yen? Probably not. Zigg: Nier: Automata is super hot right now, so it’s kind of surprising that this decidedly low-tier 9S figure is the first to emerge rather than some stunning GSC 2B or something. However it makes a bit more sense if you know that this is designed as a companion piece to the 2B sculpture that was packed in with the limited ‘Black Box’ version of the game. We have to judge it on it’s own merits however, and they aren’t many. Dull, poorly detailed and lacking flair, the only real plus point is that it’s cheap. But that’s only by figure standards, so I’d say pass on this one. Iro: Nines is one of the best written game characters in years, but that doesn’t stop this figure from being kind of dull and cheap-looking, even with his Pod. I’d say to get this alongside the 2B equivalent, but then that one doesn’t have her Pod, so… I dunno. Are these just sold-separately versions of a preorder bonus or something? Jel: I applaud the fact that Nier figures exist but this is kind of… meh. 9S himself looks OK but the pose is really boring, and that metal pole holding up his pod is a real downer. Couldn’t they have given him a sword? Just seems like it’s missing something. 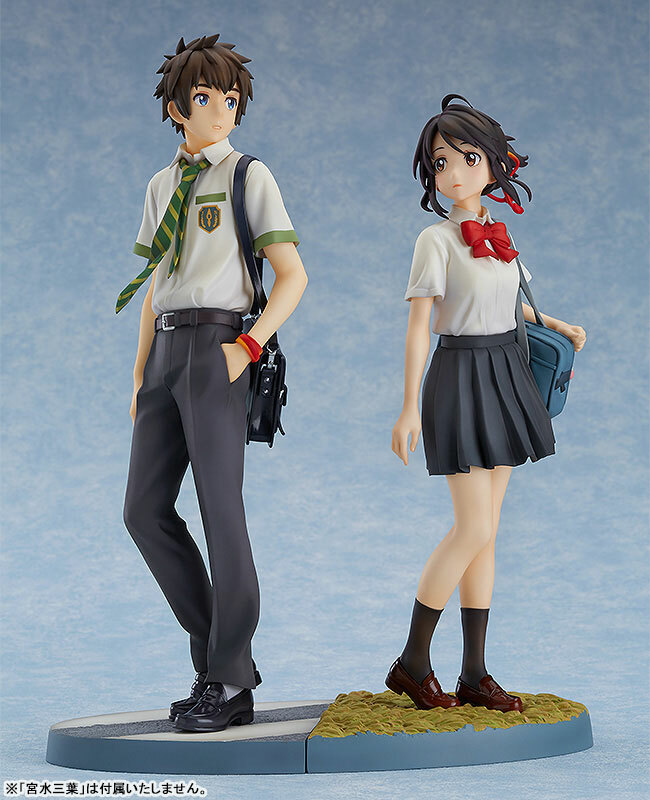 Zigg: These are two super generic schoolboy/schoolgirl figures, but they’re super generic figures made by GSC, which means top notch sculpting, excellent paint and a ton of delightful touches, like the slight ruffling of the clothes in the wind. Furthermore, in this day and age under ¥9000 for a figure of this quality is extremely reasonable, and I’m sure people who have seen the movie will eat these two up. SO yeah, not my cup of tea but it’s pretty hard to say you shouldn’t get these if you want them, as they’re great lookers for what they are. Iro: I still haven’t seen Your Name, but these (quite nice, albeit a tad generic) figures and the paired bases lead me to believe Shinkai’s up to his old trick of writing the same bittersweet romance that every single one of his films is about. Still, Your Name is the most successful anime film in what, forever? So more power to him. Jel: I can’t wait to watch Your Name and be a total hipster about it and say how it really isn’t that good and A Silent Voice is better. ANYWAY, these figures are doing they best they can with what they have to work with, which is essentially really plain school uniform designs. I can’t blame GSC for wanting to capitalize on the movie’s tremendous popularity of course and I’m sure a lot of people will be interested in these for the sentimental value, but otherwise… meh. Zigg: Even as someone who isn’t really into Godzilla it’s hard to deny the cool factor of a gigantic mechanical fire-breathing lizard monster. Plus I’m totally in love with the 70’s toku look of this thing, all rivets and segmented tubes. A niche product but no less glorious for it. Iro: I’ve never actually seen anything about Mechagodzilla, so someone let me know: is that a cockpit in his chest or a laser beam? Please tell me it’s a laser beam. Jel: Oh good Euri is here I can bail out early. Euri: This is perhaps the least interesting iteration of Mechagodzilla, but it’s undeniable that it’s a classic. 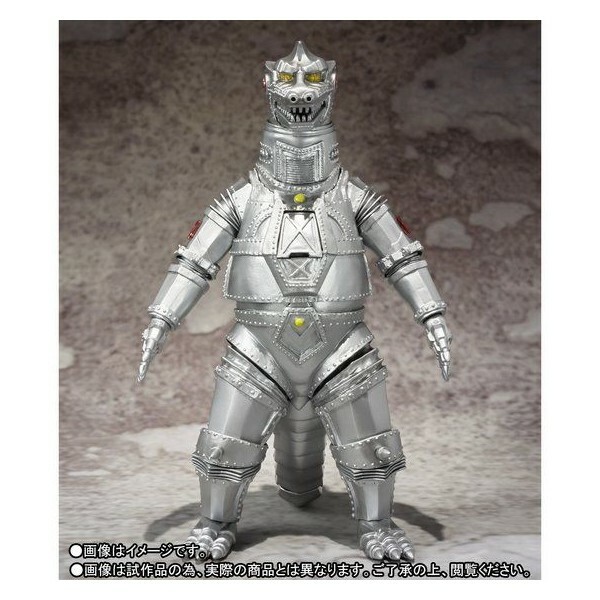 There’s not much to say about the rendering of Mechagodzilla’s ‘space titanium’ body when it really just needs to be silver, but I must say that the articulation of this figure is pretty fantastic. It would have to be for that price, but fortunately it looks like you’ll be able to pose it in ways that make it suitable for some fun kaiju-battle dioramas. It also looks like it comes with a few bonus parts, such as the laser beam it can fire from its chest, but I’d definitely like to see some finger missiles in here too. The Black Hole Planet 3 aliens that created it would be proud. That laser from Megagodzilla chest is incredible! Gonna fwd this to my nephew who is a huge fan. 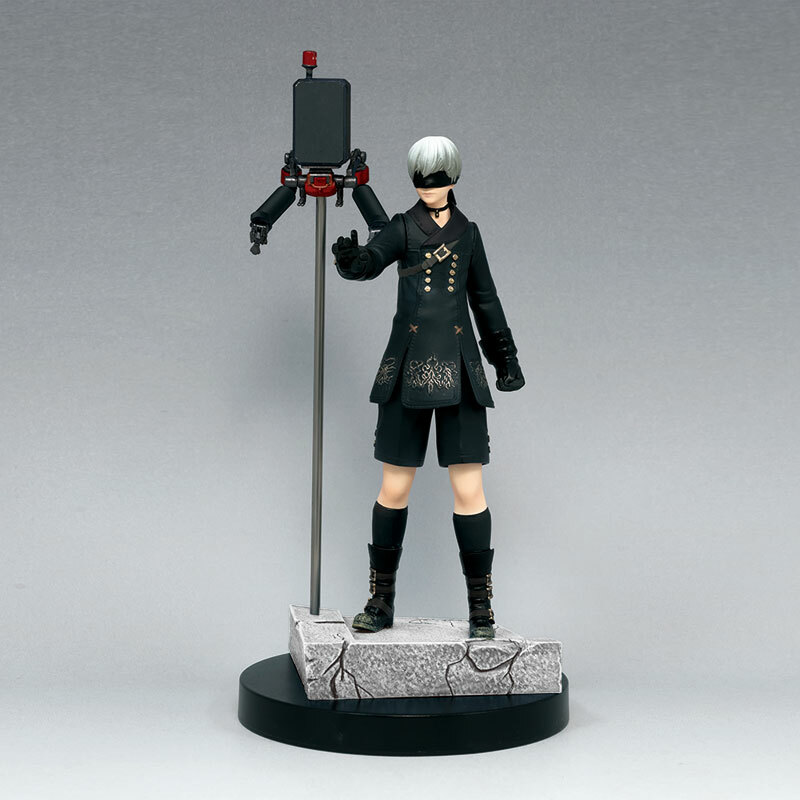 That 9s figure is quite possibly the most boring and dour I’ve ever seen.